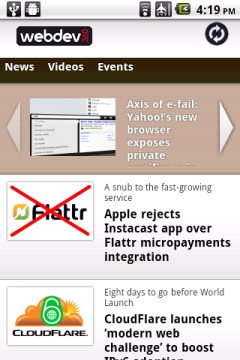 Found on the Mobile Web is a regular WAP Review feature listing newly added and updated sites on the YesWAP.com mobile portal and WapReview mobile site directory. With these latest additions the directory and portal now list 2305 mobile sites. 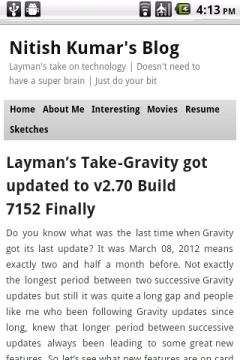 TechRadar m.techradar.com The UK’s bigest tech news and reviews site’s mobile edition includes all the desktop site’s content in an attractive and easy to navigate format. 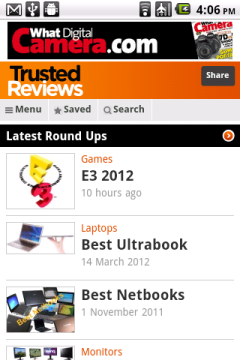 TrustedReviews www.trustedreviews.com As the name suggests this is primarily a tech review site covering smartphones, cameras, video and audio gear and PC and peripherals. 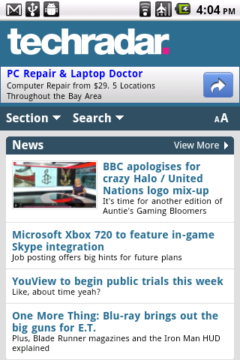 There’s also an extensive tech news section. 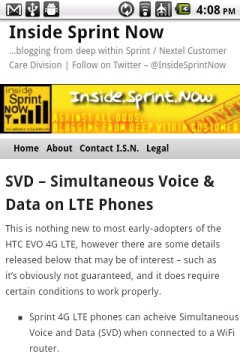 Inside Sprint Now insidesprintnow.wordpress.com Frequently updated news blog covering US CDMA operator Sprint/Nextel. Written by an anonymous Sprint customer care representative, it’s an excellent source of breaking news about new Sprint products, plans and policies. 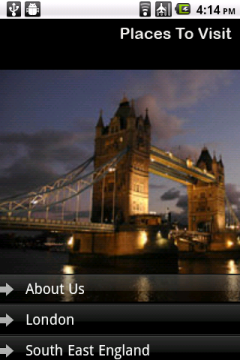 Places To Visit UK www.places-to-visit.mobi A guide to the UK’s major attractions and places to visit. Listings include descriptions, photos, address, phone numbers, maps and links to nearby dinning, lodging and transportation listings. Seems like a useful site although the phone numbers in listings are not click to call and the auto-playing audio track on the home page is very annoying. Nitish Kumar’s Blog nitishkumar.net Popular mobile tech blog whose byline is “Layman’s take on technology. Doesn’t need to have a super brain. Just do your bit“. Covers primarily mobile tech, especially Nokia devices, and mobile apps with profusely illustrated in-depth reviews. 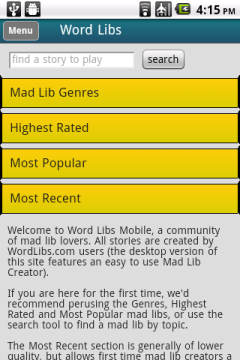 Word Libs for Mobile m.wordlibs.com Play Mad Libs online with you phone. Enter random parts of speech as prompted and Mad Libs for Mobile will create a possibly funny, but more likely, nonsensical story. 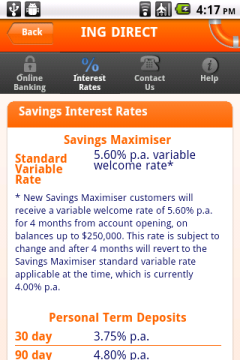 mobile banking features it has a section listing current interest rates. 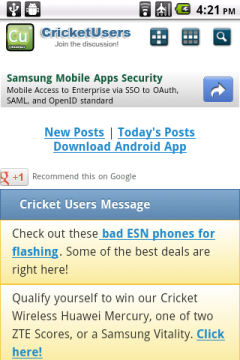 Cricket Users Forum www.cricketusers.com/forum.php?styleid=28 Independent user forum for Cricket Wireless (US prepaid operator) users. Information and discussions on everything related to Cricket including how to flash Sprint and Verizon phones to Cricket. @ The Pastry Box Project the-pastry-box-project.net/ Group blog on the topic “Shaping The Web”. 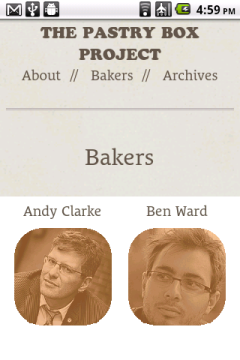 Thirty well known web designers and web standards experts take turns discussing their work and ideas with a new post every day. webdev360 webdev360.com A web and mobile development portal targeted at web developers and designers and featuring news, interviews, event write-ups, opinions and analysis. This entry was posted in Found on the Mobile Web and tagged Banking, Games, mobile operators, Tech News, Travel, Web Design by Dennis Bournique. Bookmark the permalink.